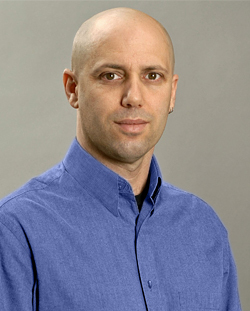 Gal Zauberman is a Professor of Marketing at the Yale School of Management. He studies consumer judgment and decision making, and in particular, the role of time in judgment and decision making. Professor Zauberman has won numerous awards, including the Paul Green best paper award and the Early Career Award for Distinguished Contributions to Consumer Psychology. His research has been published in top-tier academic journals including the Journal of Consumer Research, Management Science, and Psychological Science, and has received international media coverage in several publications, including The New York Times and Scientific American. Professor Zauberman is an associate editor for Management Science (Judgment and Decision Making), and sits on the editorial board of the Journal of Behavioral Decision Making and the Journal of Marketing Research. He holds a B.A. in psychology and economics from The University of North Carolina, Chapel-Hill, and a Ph.D. in marketing from Duke University.